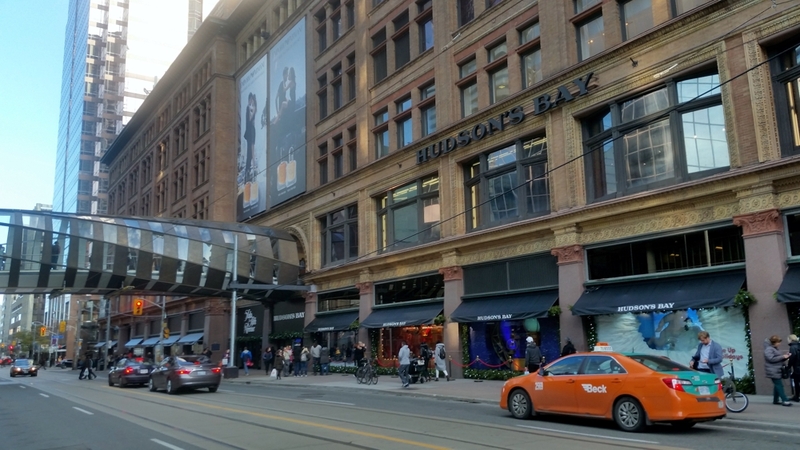 Shoppers can now cross between Saks Fifth Avenue building and the Eaton Centre with the new Skybridge over Queen Street West. 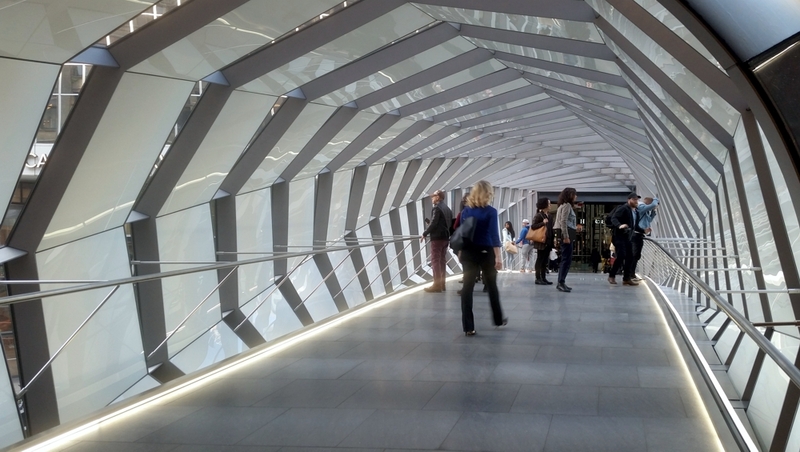 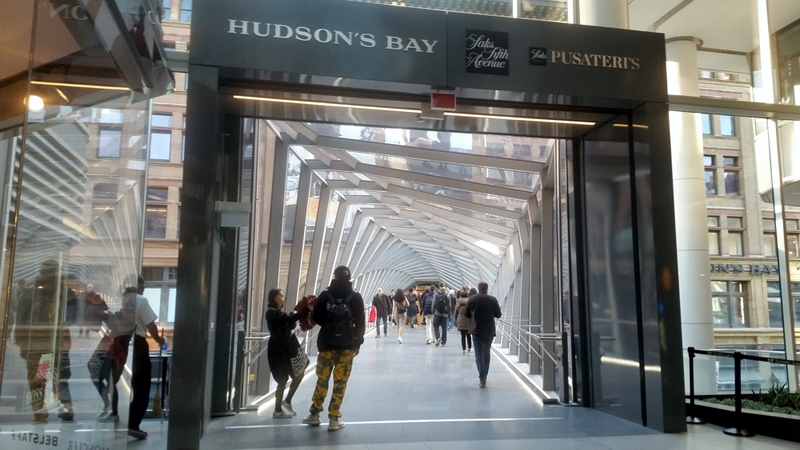 The original pedestrian bridge was approaching end of life and Cadillac Fairview hired Dominic Bettison of WilkinsonEyre to design the new structure. 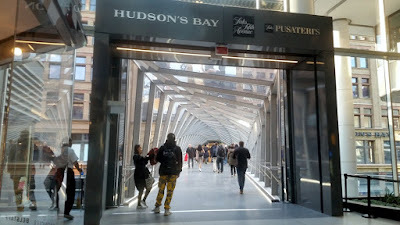 The two entrances were different with the Eaton Centre side being rectangular and the Saks Fifth Avenue/Hudson Bay side being round. By rotating and breaking up the rectangle, similar to rifling in a gun barrel, they accomplished the transition between the two geometrical shapes. It also rises in the middle as it approaches the middle of Queen Street West. It was quite a process as the old bridge was removed in May of 2017 while the new bridge was under construction on James Street, just beside the Eaton Centre. 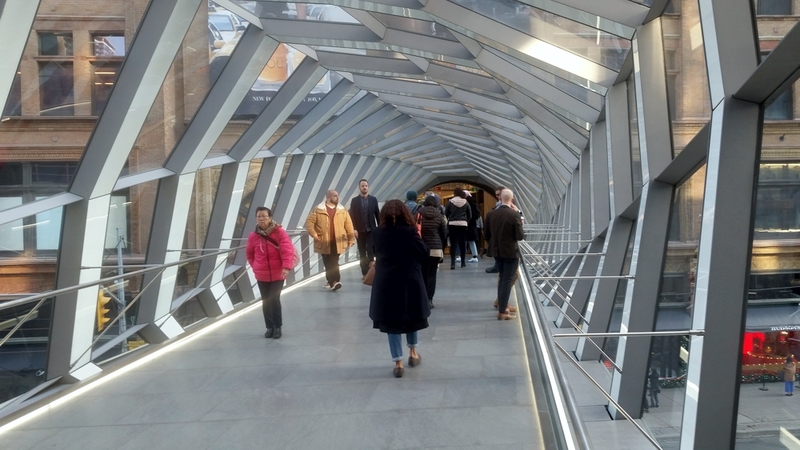 Then Queen Street was closed for traffic over a July weekend and they hoisted the beast into place and have since been working at completing the interior and exterior of the bridge. 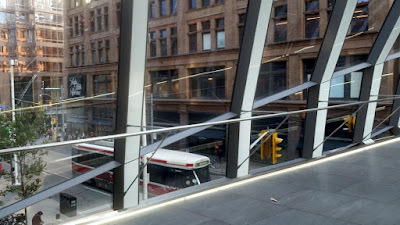 You can see photos of the construction process on my original post here. 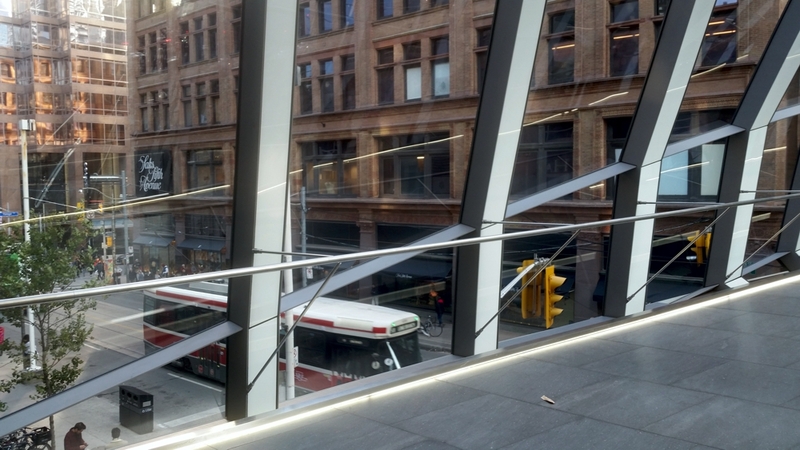 On November 2nd, 2017 the bridge was opened and shoppers are not only crossing the street in the bridge, they are stopping and taking photos inside the bridge because it is pretty interesting with a nice view of Queen Street. 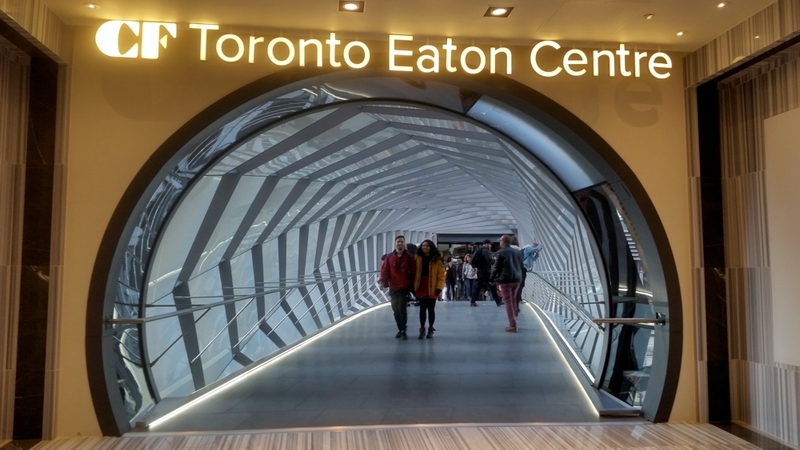 And it is ready just in time for the Christmas shopping rush.